Halloween is just as fun in adulthood as it was when we were kids! Dressing up is a great way to express your creativity and to be the life of the party. This year, try making your costume instead of buying! By making your own costume, you’ll love it even more, and you’ll be able to save money that you can put towards paying off debts. Put your own assets to use. Do you have bright red hair? Use the inspiration to find red-headed characters, like Archie or Pippi Longstocking. Long dark hair? Use it to channel your inner Princess Leia. Shop beyond your age group. If you’re petite, you can shop for children’s costumes! Teen costumes are significantly cheaper than their adult counterparts, and for women, they’re generally less suggestive. Use what you already have, or if you’re going to buy something, buy something you can use again. You could put together a basic witch costume with any black clothing you own, for example. Or you could buy black tights to complete the costume, but at least you’re buying something that you’ll wear again. Think outside the box. You don’t have to be something like a ghost or a vampire. Sometimes the most minimal costumes are the most memorable, like a Price is Right contestant or Grumpy Cat. 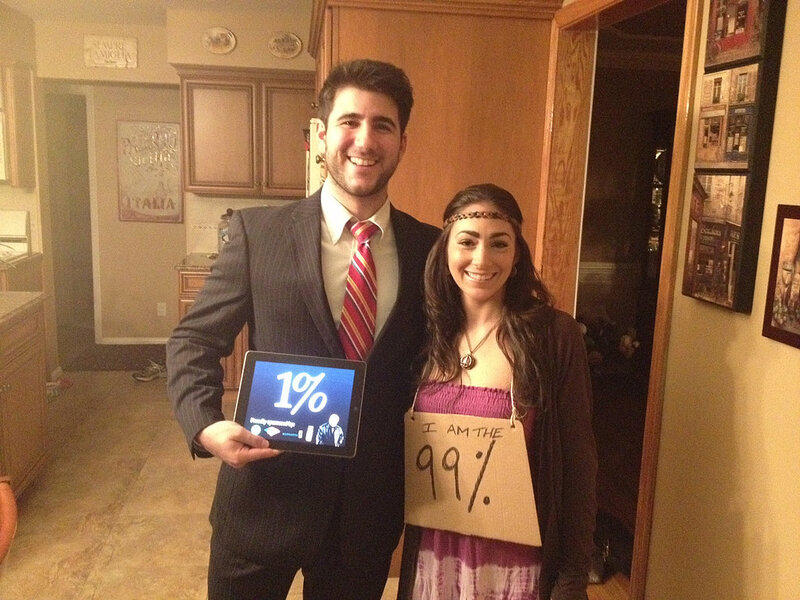 You could even be an abstract concept, like the 99% and the 1%. Get a group together to keep the theme going. The more of you there are, the more clear your costume will be. Don’t overcomplicate the costumes – instead, focus on how you can get the idea across simply with items you already own. 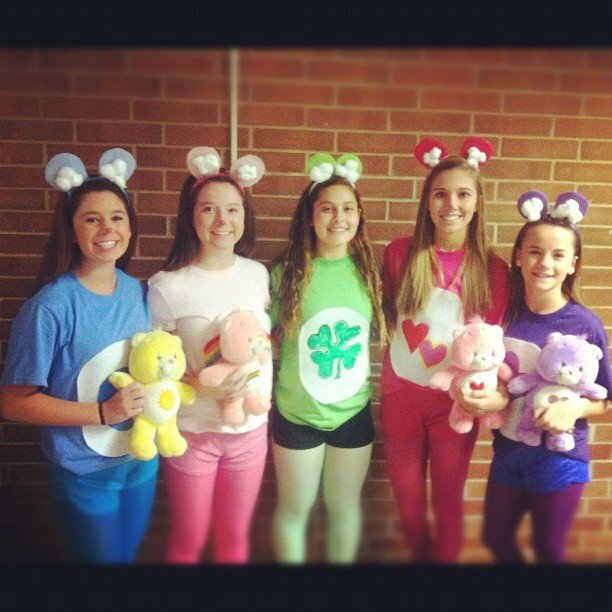 Getting together to make the costumes can be a party in itself, like these Care Bears. Don’t have any ideas? Head to your local thrift store and see what inspiration you can find in the items there. 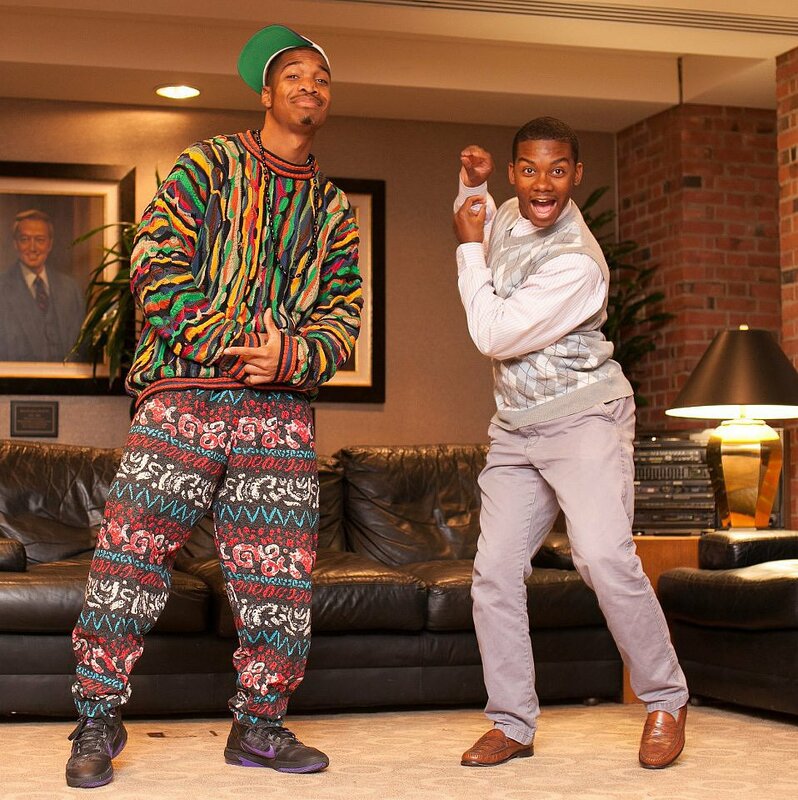 Maybe you’ll find some ultra 90’s garb and dress like the Fresh Prince of Bel-Air. Don’t just limit yourself to the clothing aisle – head to the other sections to see what you could alter into a favorite concept or character. What’s most important is to get creative and see what you can find around your house. Anyone can buy a costume, but that gets expensive – the store bought ones can cost up to hundreds of dollars. Plus, they are cheap and flimsy. Just think about what you can put together for your own concept. Let your creativity fly!